Sci-fi action epic about a ragtag band of humans that band together in the year 2025 to fight legions of monstrous creatures rising from the sea. 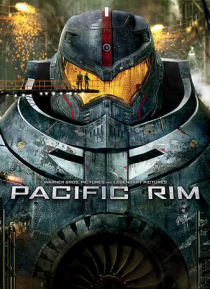 Using massive piloted robots to combat the alien threat, earth's survivors take the fight to the invading force lurking in the depths of the Pacific Ocean. Nearly defenseless in the face of the relentless enemy, the forces of mankind have no choice but t… o turn to two unlikely heroes who now stand as earth's final hope against the mounting apocalypse. Reparto: Charlie Hunnam, Diego Klattenhoff, Idris Elba, Rinko Kikuchi, Charlie Day, Burn Gorman, Max Martini, Rob Kazinsky, Clifton Collins, Jr.